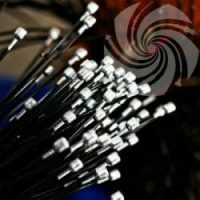 Suprajit Engineering Ltd is the largest manufacturer of cables in India other than manufacturing instrument panels catering to most of the automotive OEMs. Through Phoenix Lamps it is also the market leader in automotive lighting in India. The product range includes automotive cables for brake, clutch, throttle, starting, gear shift, choke, speedometer, tachometer, window regulator, mirror cable assemblies, seat recliner, latch release etc. Non-automotive cables are used for washing machines, material handling, earth moving equipment, marine applications etc. Backed by strong revenue growth, we see benefits of operating leverage coming in from its cables business operations as well as automotive lighting as they consolidate operations for same target customers in India. Suprajit has a commendable 70% share of business in 2-W companies except Honda Motorcycles (HMSI) (30% market share) which it is trying to improve. HMSI is currently the second largest two wheeler manufacturer in the domestic market. Suprajit has now become a single source supplier for HMSI’s Bangalore and Gujarat plants. Suprajit has been a relatively late entrant in 4-wheeler cables segment (currently ~25% market share). But with acquisition of Speedo cables from PRICOL market share has been picking up The Company has been supplying to Tata Motors, M&M & Toyota where it is trying to improve its market share. The company is looking to scale up its business with Maruti Suzuki, BMW and Volkswagen amongst others. Phoenix Lamps has ~55% market share in passenger vehicles & ~80% market share in commercial vehicles & Suprajit is trying to use that relationship to expand its cable business into the two segments both through higher business from existing customers & acquisition of newer customers with a wider product offering. Suprajit also has a large replacement market potential which is still untapped but the company is gradually trying to increase its reach domestically. Phoenix Lamps had a larger presence in the replacement market which Suprajit is currently utilizing. One of the key strengths that have enabled Suprajit to gain such large market share with OEMs is the proximity of its plants to OEM plants. Suprajit has 16 plants across 9 locations in India. This provides JIT inventory & lower freight costs. Suprajit acquired 61.92% of Phoenix Lamps in May 2015 & subsequently both the companies were merged in 2017. The acquisition was with the aim to de‐risk its product profile with multiple products. With 2 distinct products (market leaders in both) and similar customer profile, the Company has managed to get a larger share of the pie with each customer leading to significant positioning in the auto components industry. Being the pioneers of halogen lamps, Phoenix Lamps is the market leader in India with the range of over 500 different types of products. It has significant global presence through its European subsidiaries – Trifa and Luxlite. It supplies to both domestic and overseas customers (OEMs and replacement) and it caters to 50+ private labels across the globe. Bosch and Valeo are their major customers in the exports markets. Suprajit acquired Wescon Controls, a US-based control cables maker in September 2016, for an enterprise value of $44.4 mn (about Rs.295 cr). Wescon supplies components to manufacturers such as John Deere, Toro Co. and Honda Motor Co. Wescon is a market leader in North America in OPE (outdoor power equipment) segment is a significant sectoral de-risk for Suprajit in its core business of cables. We expect capacity expansion (250mn to 300mn cables), acquisition of new business in 4W cable segment and ramp up of new H7 line of Phoenix are key positives for the Company over the next 12 months.